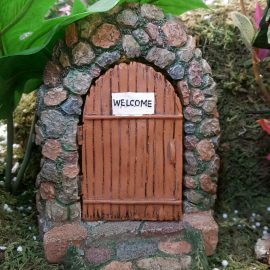 Size 10cm high – 7.5cm wide. 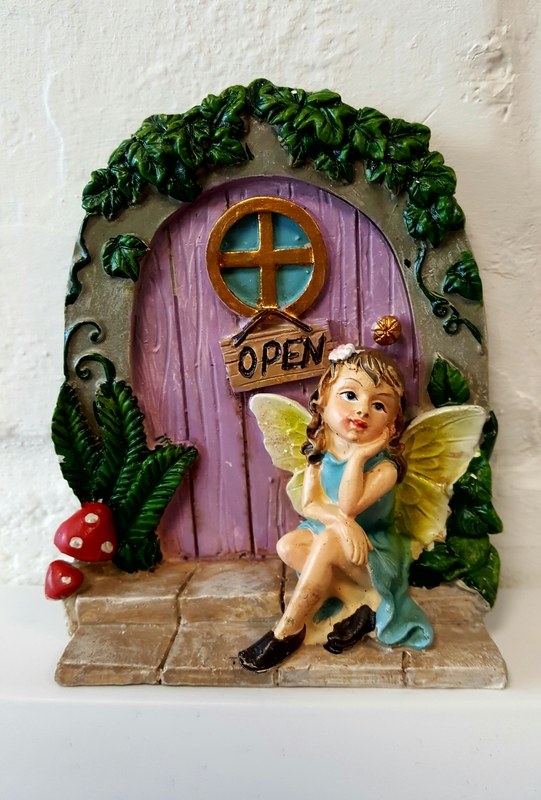 A cute little pink fairy door with gold window and handle and a sign saying open. 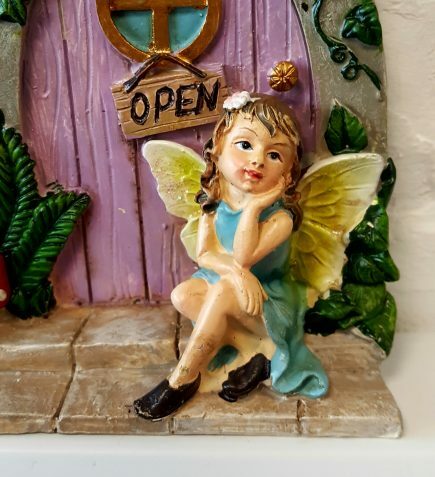 2 stone effect steps with a fairy sitting on top step. She is day dreaming wearing a blue dress with yellow wings. 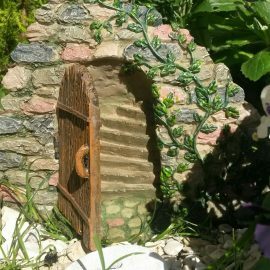 There is ivy growing over door and 2 little toadstool outside door. 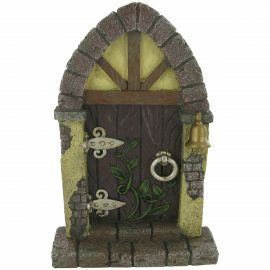 Perfect for a skirting board or Tree. 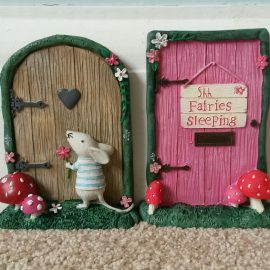 Marvin,Fluer and Fairy Asleep Fairy Doors.